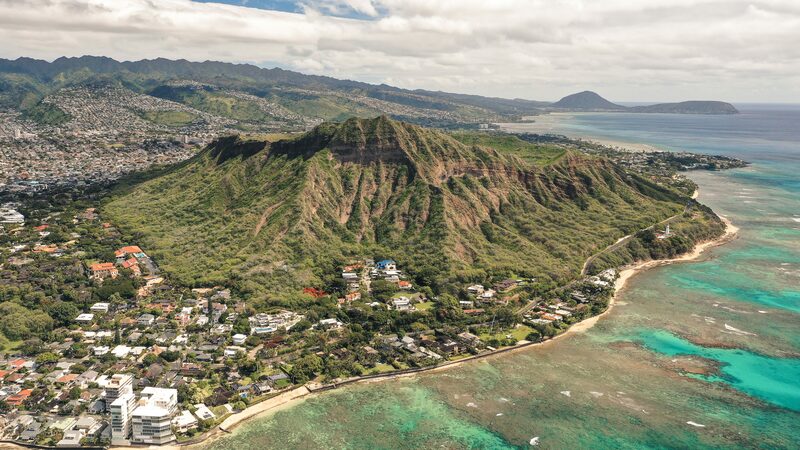 Flew the Mavic 2 up pretty high and got this shot head-on of Diamond Head Crater on Oahu. I don’t think I’ve ever seen this angle because it doesn’t show that Waikiki silhouette view. It gets a little scary flying the drone around with so many low-flying helicopters blasting around. We can also see Koko Crater in the background from this angle too.